Today’s best apps blend client and cloud into a single platform, creating highly responsive experiences for users backed by powerful computing resources remotely. 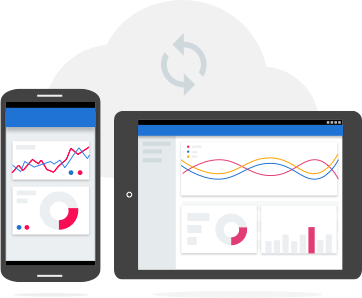 Cloud helps you strike this balance easily for your mobile backend, where non-interactive tasks get offloaded to Cloud, resulting in improved battery life on mobile, lower bandwidth usage, and a snappy client experience on mobile. With VPS SSD Server , focus only on differentiating, high-level business logic using your favorite language. For developers with existing or legacy projects who want the full control of bare VMs, VPS SSD Server offers high performance VMs with industry-leading pricing and customizability. Speed is a feature, and latency makes or breaks your web application’s user experience. Our CDN global solution cover almost all of the world so you will find a suitable one whenever your target audience is. Global content delivery network that we offer allows to deliver your content even to the geographically most distant markets. 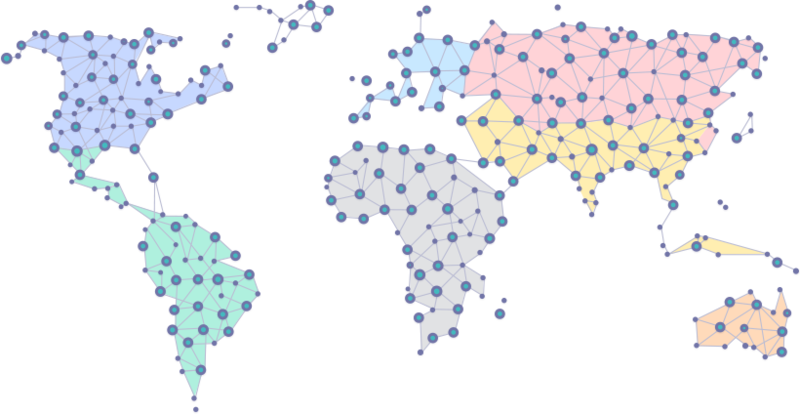 Our Network is Based on More Than 200 Worldwide Nodes, meaning your app data reaches users with the lowest latency possible. MulakiHost global network ensures your app data traverses our private network from our data centers to your users, anywhere in the world. With no minimum fees and a pay-per-use model, MulakiHost's Storage leads the industry in cost-effective cloud storage pricing. Store your data on MulakiHost's infrastructure with price and availability characteristics tailored to all the different scenarios encountered by developers and enterprises. VPS SSD Servers boot quickly and are consistently high performance. VPS SSD Server also offers industry-leading local SSD performance. Compare throughput on equivalent IaaS offerings and see the difference our virtual servers can make for your workloads. We have powerful CPU Platform our data centers are powered by intel cpu's. From the smallest workgroup to the largest enterprise, your business can rely on MulakiHost security to protect your most critical documents, media, and unique assets. Your data travels through our private network, delivering unmatched business continuity for your enterprise. All data are encrypted for each account using more then one encryption mechanisms. The same encryption and key management policies, cryptographic libraries, and root of trust used for your data in MulakiHost are used by many of Mulaki Host production services, including Web Hosting, Server, Storage, Mulaki Host own corporate data. Our global network of data centers consume 50% less energy than the typical datacenter, 100% renewable energy to match consumption for our global operations. We are growing our global datacenter footprint so your applications can run closer to your customers and distribute geographically for resiliency. Our support often see us as their in-house IT team, or an extension of it. Our mentality is to ensure long-term customer satisfaction, and we therefore want your server to run as quickly and reliably as possible. Where we really add value over our competitors are the extras we include free.. These include 24/7 monitoring, management and full offsite backups, the migration to us from another provider, and the optimisation of your environment once it is on our platform. VPS SSD Server Scalable, High-Performance. Network storage, up to 64 TB in size, can be attached to VMs as persistent disks. You can create persistent disks in HDD or SSD formats. You can also take snapshots of your persistent disk and create new persistent disks from that snapshot. Install any framework or application starting from famous wordpress, joomla, magento, wiki and much more. Run your choice of OS, including Debian, CentOS, CoreOS, SUSE, Ubuntu, Red Hat, FreeBSD, or Windows Server 2008 R2, 2012 R2, and 2016. You can also bring your own os or images. Cloud Vms Server supports the common Docker container format. You have an ambitious project but the funding, as always, is not enough? We are ready to offer super-favorable cooperation conditions: special discounts, deferred payment or even free services. We help inovative project. Choose one of our fine-tuned Server solutions! Available with Windows Server 2012 R2 or Windows 8, stored on SSD drives. CentOS 6, CentOS 7, Ubuntu 14, Ubuntu 16, Ubuntu 16 with RDP, Fedora 25, Debian 8 on SSD drives. Machine optimized for your specific needs.